Heat olive oil in pan on medium-high. Add chicken and season with salt and pepper. Cook until chicken is cooked through, about five minutes. Transfer to a plate when cooked. 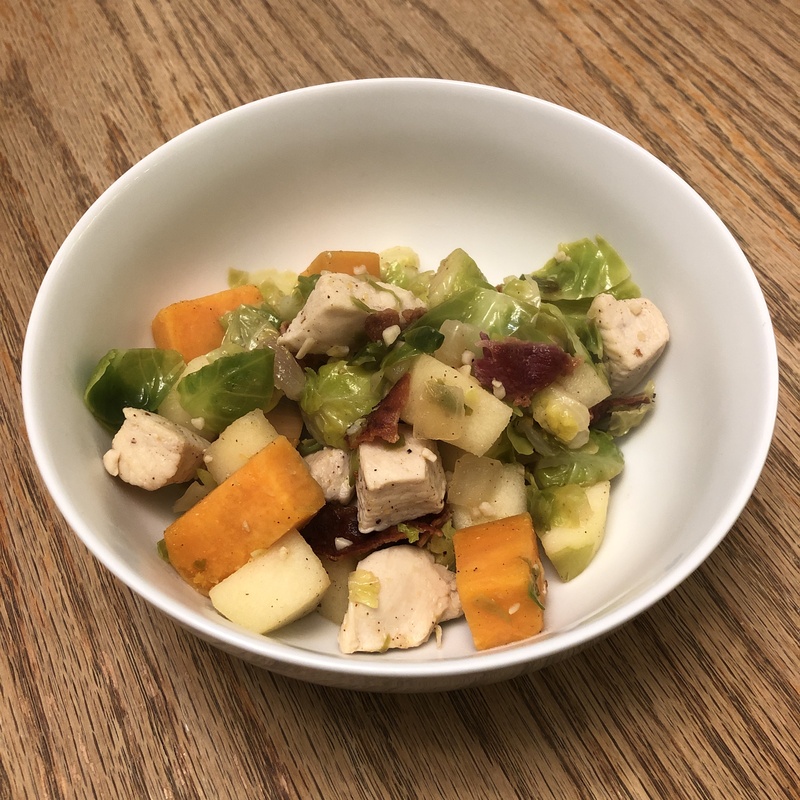 Still on medium-high, add brussels sprouts, sweet potato, and onion to pan. Add salt and pepper if desired. Cook until crisp-tender and onions look translucent, about ten minutes. Add the apples, garlic, thyme, and cinnamon to the pan. Cook about 30 seconds and add half the broth. Bring to a boil and cook until mostly evaporated. Add chicken back in and remaining broth. Cook until heated through, 2-3 minutes. Add cooked bacon and serve immediately. Enjoy!